Patient Speculation: Quotation Of The Week – A Duel Winner -Don’t Blame The Horse!! Quotation Of The Week – A Duel Winner -Don’t Blame The Horse!! Jake from the Bankbuilder Blog. I have wanted to post this small but extremely powerful quote for a while now. I found it where I have found numerous other pearls of wisdom, on the Bankbuilder blog. The quote formed part of 'This Post' that Jake, the blogs author, had written in response to a point I had raised in a comment. To me that quote sums up the reason that I started my blog and my total conviction that it is our attitude and actions that dictate whether we become successful at sports speculation (or anything thing else for that matter). 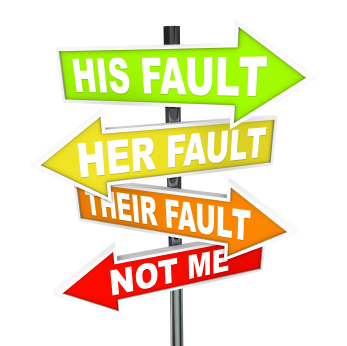 Reading forums etc there will always be someone who after a bad result blames the jockey, horse, goal keeper, referee, the weather or any other reason apart from where the true responsibility lies; themselves. I have been that person in the past and I can state that if I had continued with that sort of attitude I would never have been able to turn my sports speculation around, don’t get me wrong, I am only just setting out on my journey to becoming successful, but I am now heading in the right direction. For an example of how powerful a change in attitude can be take a look at This Post on The Playing it Safe Blog. The comments by Dean the blogs author show how a change of attitude can lead from being a run on the mill punter to a successful sports speculator. You really do a wonderful job with this site..alway's interesting topics that are important to the player. Thanks for the feedback and good luck with your new challenge from April the first. I will as always be watching. This year has been a little un-settled as I haven't had the time to do the necessary work on a consistent basis and you know that is a prescription for failure in this game. As of April all roads are clear for the plan to work and hopefully post every day. Alway's a pleasure hearing from you Mark and I wish you continued success.